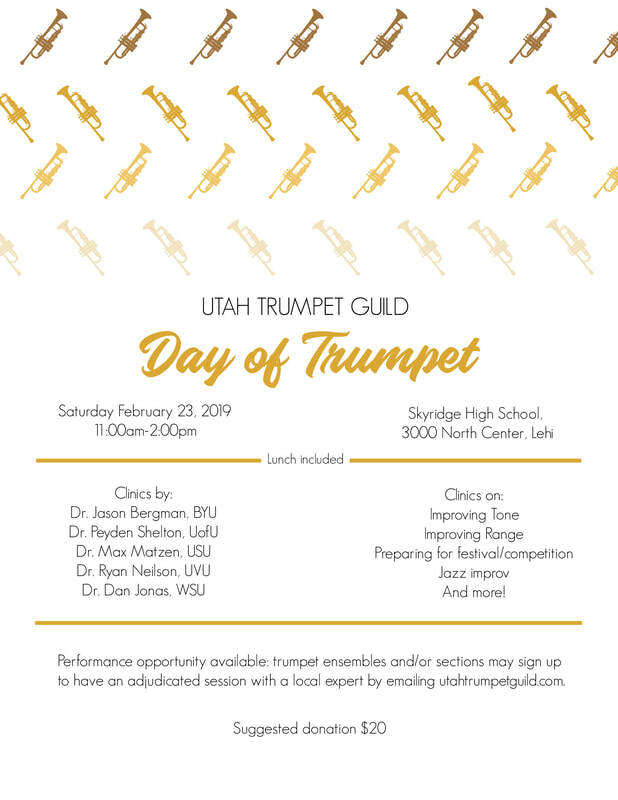 The Utah Trumpet Guild Day of Trumpet! Come be a part of our event that provides numerous clinics and performances by regional trumpet professors and students from The U of Utah, BYU, USU, UVU, and WSU. Participates can sign up as an individual or as a trumpet ensemble/section for pre-festival or competition adjudication and feedback. Suggested donation of $20 at the door.